This post is an elaboration on my recent Facebook rant that resulted in thousands of views and dozens of shares in just a few days. 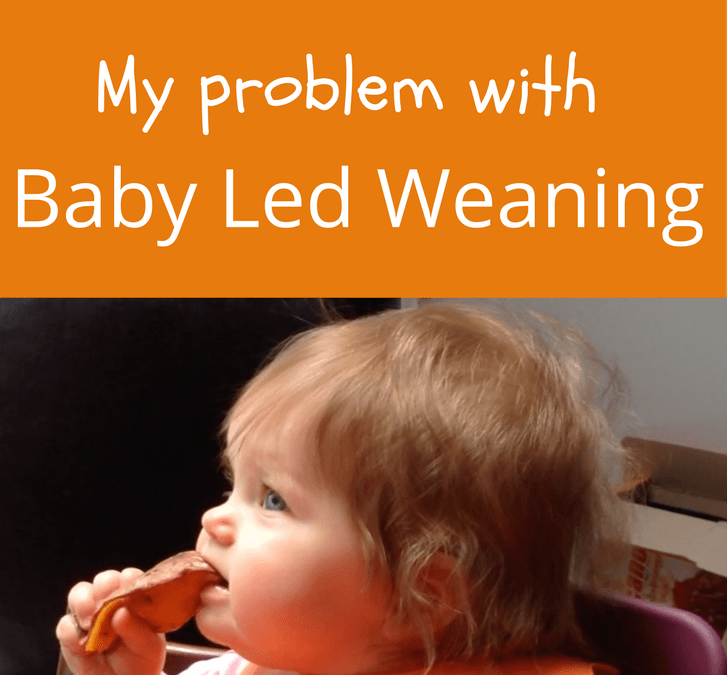 It is dedicated to all the moms who feel that they are doing something wrong by not doing 100% Baby Led Weaning. I think the division into BLW and non-BLW has gone too far. At this point, I see a lot of “us” vs “them” kind of attitude, and I do not like that. I am not against BLW and, in fact, I used it to start solids with my kids BUT it pains me to see how moms (again!!!) are made feel inadequate, “not enough” because they are not prepared to adhere to BLW philosophy. The philosophy itself appears to have grown much stricter in the recent years because we started using it to divide parents into opposing camps. I think it is time to stop mommy wars. Here is the truth. There is NOTHING wrong with feeding your baby purees. Feeding a baby puree is completely Baby Led if done right. And it can be done right if we change our attitude to child eating not only when they start solids but for many more years to come. Here is a thought: what about making ALL feeding Child Led, whether at 6 months or 12 years, regardless of the texture or utensils. And no, mixing textures does NOT increase the risk of choking, nor will your baby will not get “confused” if you feed purees and finger foods at the same time. Babies are capable of mastering a variety of eating skills at the same time and can totally figure it out. But there is something we, parents, need help with figuring out. If the only way we can allow our babies decide how much or whether he wants to eat is by locking spoons away in a cupboard, we need to work on our food parenting mentality. The spoon is not a problem. The parents who are behind the spoon often need help learning how to trust their child. But without seeing the big picture we cannot swap our controlling feeding approach for the trust based one. And just avoiding the spoon is not a long term strategy. That’s why I know so many parents of three year olds who did “everything right” and started with BLW but now are counting bites and bribing with dessert. 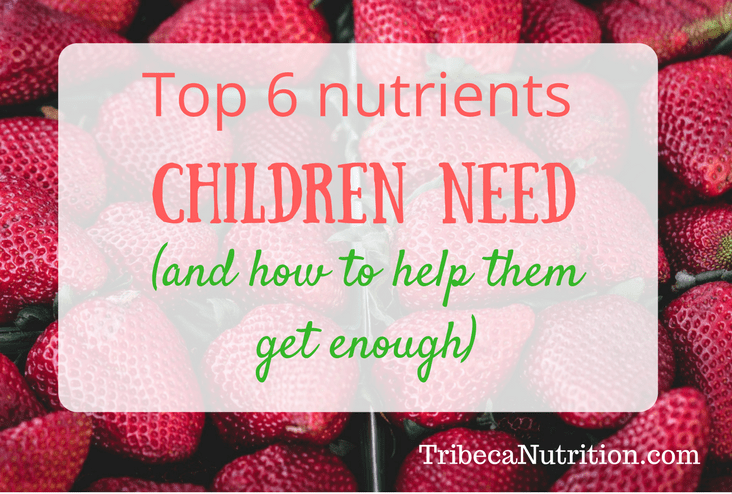 But if the feeding is Child Led at any age and stage, spoons and purees stop being a danger to good eating habits and become effective vehicles for great nutrition and a boost in eating skills. So I suggest we tune out the online noise and tune in to our babies, so we can read their developmental cues better, learn how to challenge them without feeling like we need to compete with another mom on Facebook and stop feeling guilty if we need to take a step back and let them learn to feed at their own speed. – the main milestones when starting solids, including readiness for solids, interest in self feeding, readiness for texture upgrades, spoon refusal and striving for independence. – the picky eating phase anywhere between 1 and 5 years. – vulnerability to peer pressure after kids start preschool or school. Learn everything you can about responsive feeding. Responsive feeding is about setting a structure when it comes to meals and snacks and allowing the child decide how much or whether to eat from what is offered. Ellyn Satter has created the Division of Responsibility formula to sum it up: parents are responsible for the what, when and where of feeding and kids are to decide how much of whether to eat.Baby Led Weaning emphasizes responsive approach to feeding as well, but, unfortunately, does not teach us how to feed responsively with a spoon or translate the same principles to older children. 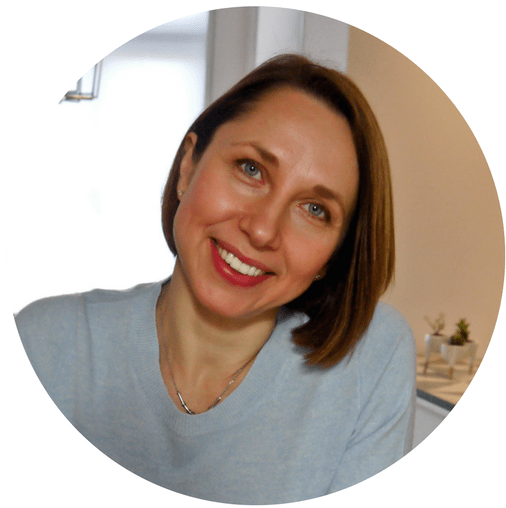 But the truth is, you can feed all children in your family, from babies to teens, in the same responsive way, so that they all maintain their self regulation and build a great relationship with food. Child of Mine by Ellyn Satter – an encyclopedia of responsive child feeding from an internationally recognized child feeding expert. Starting solids: The Stress-Free Way – safe and responsive way to start solids based on your baby’s unique developmental needs and abilities. Includes quittance on both nutritious purees and finger foods and 50+ easy recipes. 5 Steps to Raising a Happy Eater – a step-by-step program to transition to responsive feeding and transform your picky eater. From children 1 to 12. Feeding Bytes: Real Families, Real Meals FREE Facebook community. Here we talk about responsive feeding, cover lots of feeding issues and exchange family meal ideas and recipes. 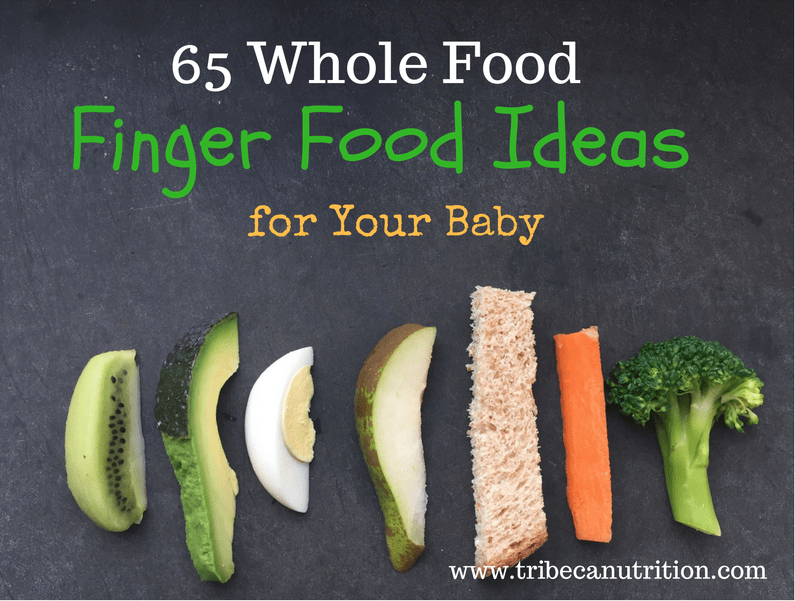 Need finger food ideas for your baby? Thank you so much Brandy! I feel the same way about the strict moderator policies in some Facebook groups. I think that the original approach is more flexible than what we have created out of it, because of our overly judgmental approach to parenting in general. I agree with all these points. 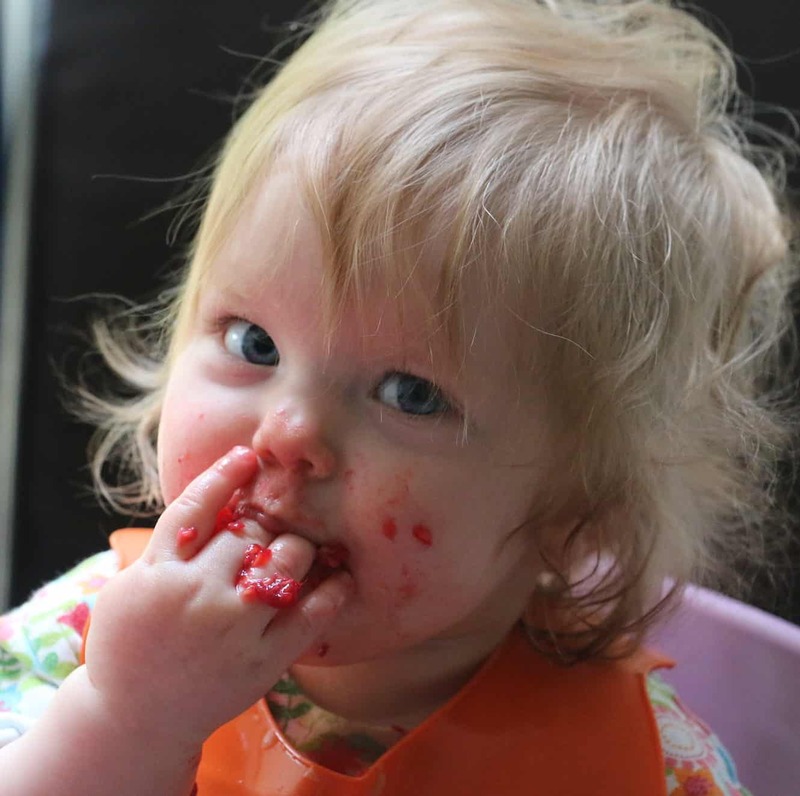 Feeding purée or going babyled weaning way is made out to be a mom war on the Internet. Parents should be tuned in to what their child needs rather than falling for such futile debates that don’t teach anything. Yes, I completely agree. 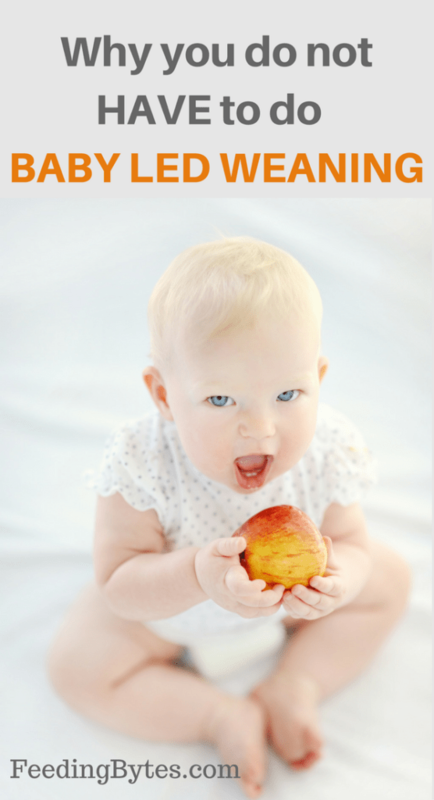 At the same time, all babies are completely different and learn to eat in different ways. I advocate for a mixed approach, where purees are used to supplement finger foods, that are served form the start. I found this today after being told my some elitist mums that I’m not BLW or being responsive to my child despite responsively spoon feeding breakfast each day (her choice if she has it but at least what’s on the spoon goes in when she doesn decide) and BLW every other meal and snack throughout the day. I was made to feel like I was less than them and treated like an outcast because it’s not exclusive therefore I cannot use the term BLW to describe it. When did BLW become so us v them or black and white. I thought the point was to develop healthy attitudes to food from and early age and ensure the child understood hungry and full cues from their body?! This made me smile and feel much better about what I am doing with her. Oh, thank you so much for your sweet feedback and sorry for your experience. It is not that rare, unfortunately, but, hopefully, we will adopt a more common sense approach soon. We constantly feel judged as parents and it’s not fair. We need more support from each other, approval and praise for all the effort each of us puts in feeding our kids!